Video marketing is here to stay. It’s a $135 billion industry in the U.S. alone, and consumers are increasingly expecting to see videos from brands they follow and brands they might be interested in. If you aren’t providing that sought after video content, chances are you aren’t being sought out at all. Keep in mind that hiring the right video production company can make all the difference. How can you fix this? If you’re a small brand without a big budget, it can seem near impossible to meet the digital demands of consumers, who require not only written and graphic content to maintain their attention, but authentic video content, as well. That’s where hiring the right video production company can come in handy. Hire the experts to do what they know and love. Those who work at a video production company know the business well, and they do it because they love it. From videographers who film, to directors who direct, to the editors who sit in a quiet place editing hundreds and hundreds of hours of footage on a daily basis. All of these people are the experts who know and love their jobs. They aren’t sitting there cursing that the boss handed this project off to them for a weekend. These people put together videos and films for a living. You can trust them to do a good job for you. Video production can often be a hectic, disorganized mess, even with highly experienced teams. It’s a tricky medium, which you already know if you’ve ever tried to film a family video or record a work event on camera. The experts are doing this work day in and day out so they have the tools and tricks necessary to get a good video put together for companies like yours. You won’t be reading hours and hours of information and watching the “how-to” vids on YouTube. You can have an expert at your fingertips. Hiring a production company can save you money in the long run. Video production equipment is expensive. It takes a different camera than you are typically thinking about. The audio equipment is extremely sensitive, and to learn the editing software properly makes you want to shoot yourself in the foot. And in a way, you are shooting your whole company in the foot without the pros working – quietly and quickly for you. What props made a good shot? How much time will you have to use up to get this job done right? Well, halfway right. So much more than this goes together to produce a good vid. If you’re not creating video on a regular basis, you’ll rack up quite the bill — and rack your brains, too. If you own a small business, it’s likely you don’t need a new video to promote every single day, so the investment in equipment likely isn’t worth it. Instead, spend your dollars smartly. Hire a video production company that already has everything they need and won’t waste time – or money – making you the video you want. Video means more engagement, which can mean more sales. More than the expense, you should think about the results a video could drive for your business. Video drives more page visits, longer time on page, and higher brand awareness, all of which help drive more sales and conversions. Imagine – a user lands on your website. They scroll around looking for more information, but nothing quite catches their attention. They might go to your About Us page or your Store page before exiting altogether with nothing to show for their visit. Now, image they land on your website, scroll down, and then see a video outlining who you are as a brand. They watch the two-minute video, then head to your store to find out more about your products. There, they find product videos with 360-views of each product and real customer testimonials. Which visit do you think is more likely to end in a sale? Video production companies know how to tell stories. Sure, a video production company can create a cool 15-second video about the product or service you offer. But more than that, production companies are storytellers. They specialize in helping tell your brand story, whether you’re a global brand with stores across the world, or a mom and pop shop that locally sources all their products. Telling these stories and other stories, are critical to your company’s success and the right video production company can help make it happen. Video trends are constantly changing – can you keep up? You’ve got a lot on your plate. You shouldn’t have to worry about the latest changes in animation technology or what the updates in the latest Nikon camera mean for your video quality. Let the pros handle this — quickly and quietly. 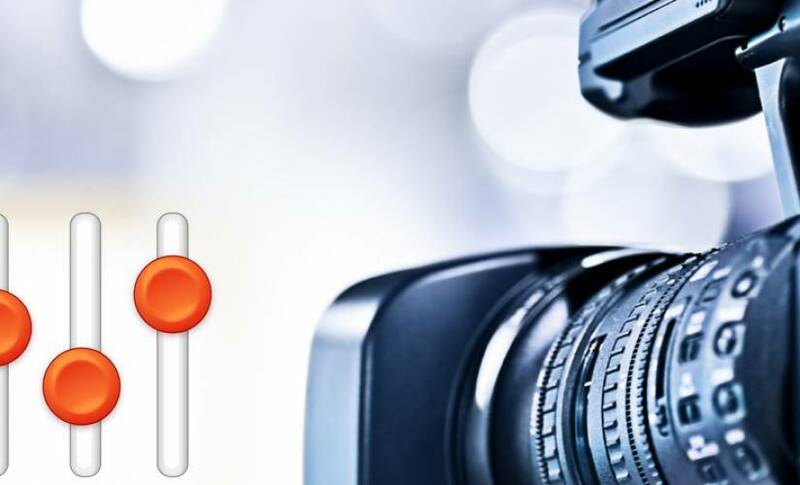 Video production companies hire experts who know about video technology and marketing trends, helping you strategize about not only the video creation process, but the marketing and promotion processes, as well. Don’t overexert your resources. Hire a company who knows the ins and outs of video marketing and can create a video you’ll absolutely love – without having to stress about the details. Hey, skip the other drama.